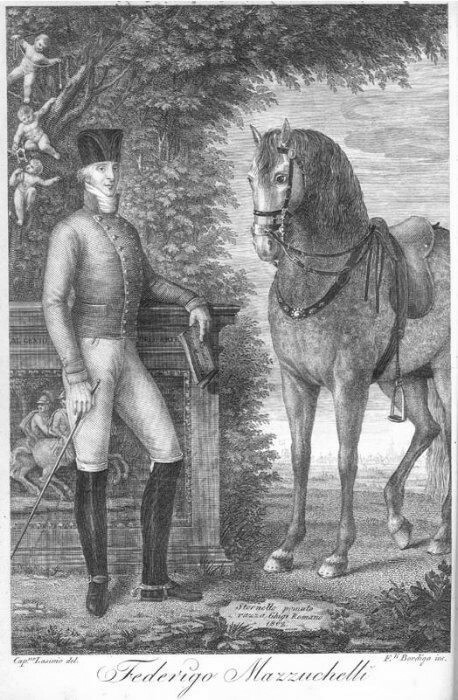 In 1948, the General Albert Decarpentry published a famous biography of the greatest French horseman of the nineteenth century, François Baucher. Speaking of his early years, Decarpentry said that Baucher did his riding apprenticeship in Italy following an uncle who was in charge of the stables of Prince Camillo Borghese. In this regard, Decarpentry suggests that, during that period, the curiosity of the young Frenchman may have been attracted by the teaching of the Italian rider Federico Mazzucchelli that, he said, at that time, “practised” at an unidentified Academy in Milan. On the other hand, he properly takes care to clarify immediately the nature of this speculative argument, concluding: «Nothing can, however, say that he may have received his teaching and if the birth of his talent was affected by that, we do not know to what extent» (Decarpentry, 1948, p. 14.). What was formulated only as an hypothesis was, however, soon turned into a certainty by many historians of equitation. This is the case, for example, of André Monteilhet, who speaking of Mazzucchelli, writes: «The work of Mazzucchelli, easy to read and very well designed in itself, has a very special interest when you know that the teacher was long observed by a modest French teenager named François Baucher …» (Monteilhet, 1979, p. 207). A quick web search will convince you that the idea that Baucher was a pupil of Mazzucchelli has spread and is now accepted as certain by many. Descendant of one of the most prominent families from Brescia, the younger son of the Earl Gianmaria, Federico Mazzucchelli was born in 1747. He studied in Rome, showing even in those early years his passion for riding horses. At a later age he was an ardent Jacobin, so that in May 1794, he was arrested leaving the city theater, on charges of having participated to political meetings. He was sentenced to remain imprisoned in the Castle of San Felice until the end of September. The prison, however, did not discourage his political passion. Three years later, while Napoleon was approaching, he signed as chairman of the Supervisory and Police Committee, a proclamation to all peoples of the free Italy, in which was extolled the unity of an Italian Republic, that the naive young noble hoped would be realized with the help of Bonaparte. The story would soon completely disillusion him. He resigned from all political functions and returned to his beloved horses. 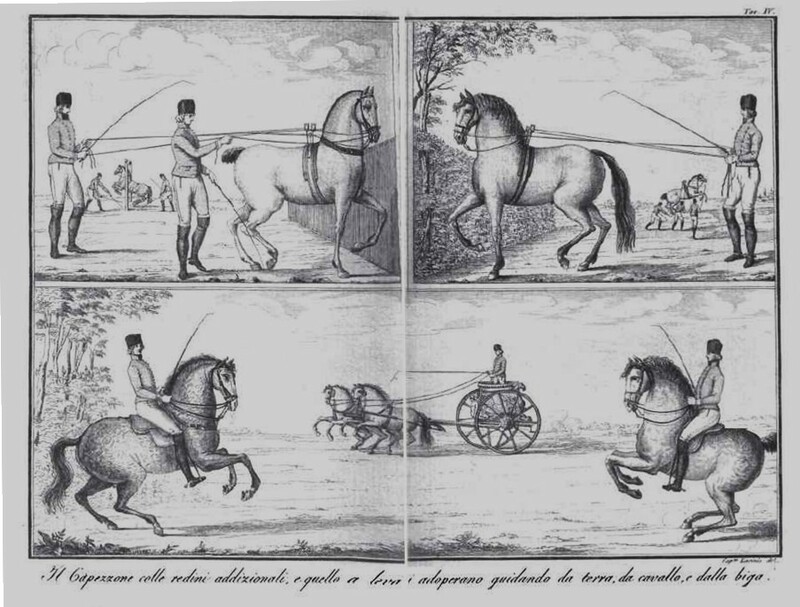 In 1802, he published in Milan, a work entitled Elementi di cavallerizza (Elements of Riding), then reprinted and expanded in 1805, with the title of Scuola equestre (Riding School), with beautiful copper engravings representing the riding exercises, carried out by the workshop of the brothers Bordiga, from the designs of Basilio Lasinio. It is evident that Decarpentry made his conjecture about a possible encounter with Baucher on the basis of the place of publication of the Mazzucchelli’s book, which he knew quite superficially, and not on the basis of any document which proves the encounter between the Italian horseman and the young French apprentice and, indeed, ignoring Mazzucchelli’s biography. Since at the beginning of the nineteenth century, an Italian rider published in Milan, a book dedicated to academic equitation, Decarpentry simply considered it likely that he resided in Milan and that he held there a riding school. 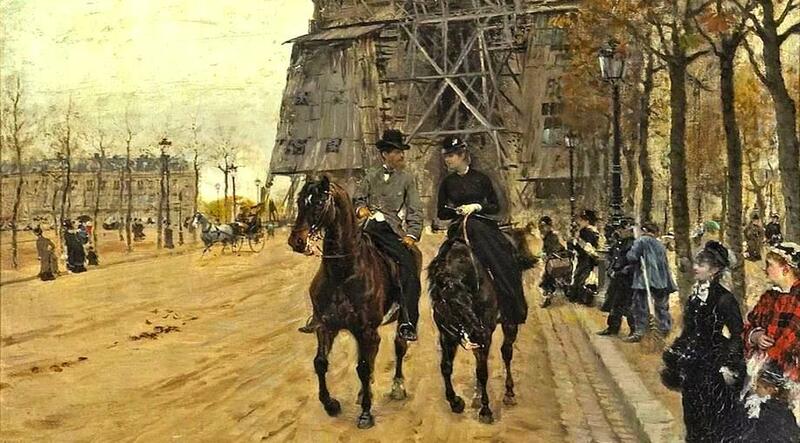 Relying on the curiosity of the young Baucher, he hypothesized that he could be attracted by that riding academy. Far more serious is the error of those who later took this conjecture as an historical truth without verifying its foundation. In fact, the encounter between Baucher and Mazzucchelli could not have taken place simply because, at the time of the young Frenchman’s stay in Milan in 1810, the Earl Federico Mazzucchelli from Brescia was already dead for five years. As it is written in his obituary which appeared in the “Giornale dell’Italiana letteratura” (Journal of the Italian Literature) of Padua: «Passionately devoted to his art, he died in the very act of exercising it, since being hit by a fierce apoplectic accident while he was riding, he left the life in the same riding arena in January 28, 1805, with pain of his friends and of every educated person that knew him». (ANONYMOUS, 1805, p. 282.). ANONIMO Necrologia: notizie di Federico Mazzucchelli, in “Giornale dell’Italiana letteratura”, Volume 10, 1805. pp. 281-282. DECARPENTRY, Albert, Baucher et son école, Paris, Lamarre, 1948.FILIPPINI, Nadia Maria, Donne sulla scena politica: dalle Municipalità del 1797 al Risorgimento, in AA. VV., Donne sulla scena pubblica: società e politica in Veneto tra Sette e Ottocento, a cura di N.M. Filippini, Milano, Franco Angeli, 2006, pp. 81-137. MAZZUCCHELLI, Federigo, Elementi di cavallerizza, Milano, presso Pietro Agnelli librajo-stampatore in S. Margarita, 1802 (nuova edizione con il titolo Scuola equestre, Milano, presso Gio Pietro Giegler, Libraio sulla Corsia de’ Servi, 1805). MONTEILHET, André, Les Maîtres de l’oeuvre équestre, Arles, Actes Sud, 1979 (nuova ed. 2009). Thank you for this. Do you know of any French or English translations of Mazzucchelli’s work? There are no recent translations of Mazzucchelli’s work. 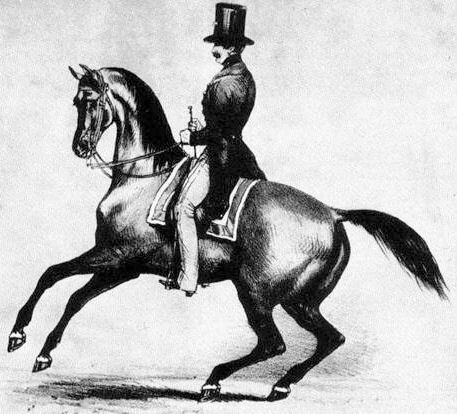 Only an excerpt, concerning sidesaddle riding, was published in the Nineteenth century: “Petit traité d’équitation à l’usage des dames. Extrait du traité complet de Mazzuchelli. Traduit de l’italien par L.-B. Quatteri”, Clermont-Ferrand : impr. de Thibaud-Landriot, 1827.